If you’re looking for the perfect dishwasher, then you’ve probably heard of Bosch. As the number-one-selling dishwasher brand in the world, Bosch is the most trusted dishwasher on the market. But what makes Bosch dishwasher the better choice? Bosch’s patented Eco Silence design uses two small suspended motors to reduce noise and vibration compared to traditional single motor dishwashers. With multiple layers of insulation, a solid moulded base to absorb sound, and precision spray technology that reduces noise by aiming water away from the drum, Bosch dishwashers are the quietest in their class. With 5 timeless design options, a Bosch dishwasher is the perfect addition to any kitchen. The RackMatic adjustable middle rack offers 3 height options and 9 different rack positions. Even when it’s full, you can adjust it with the touch a button. 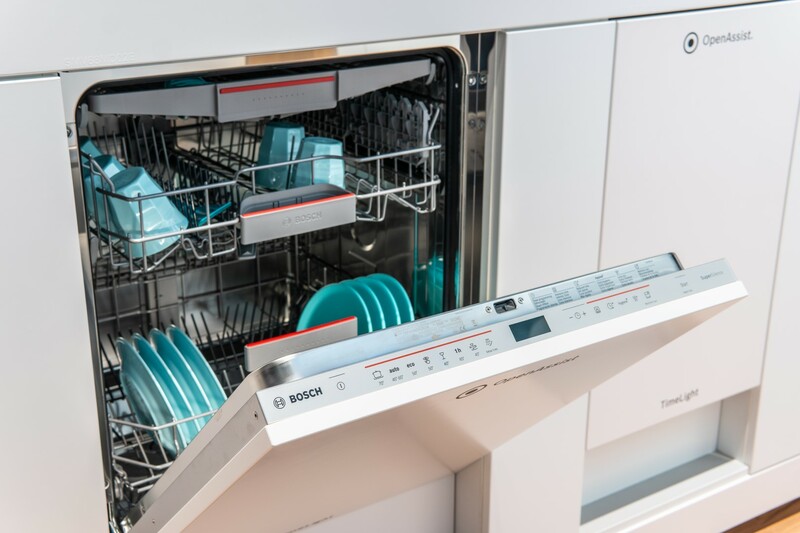 Add Bosch’s FlexSpace tines, 3 different third rack designs, and the deepest tub on the market and you’ve got one of the most versatile dishwashers ever made. Above all else, with a Bosch dishwasher, you get exceptional cleaning performance. Bosch’s PrecisionWash System uses intelligent sensors to repeatedly scan dishes and adjust the wash cycle as needed. The Grindless triple filtration system quietly and effectively removes all food particles from the tub and the automatic water softener ensures that hard water deposits aren’t left behind. In short, when it comes to dishwashers, Bosch just does it better. Whatever you’re looking for, with a Bosch dishwasher for every budget, the perfect dishwasher is waiting for you. Don’t waste any more time, shop for our Bosch dishwashers HERE.